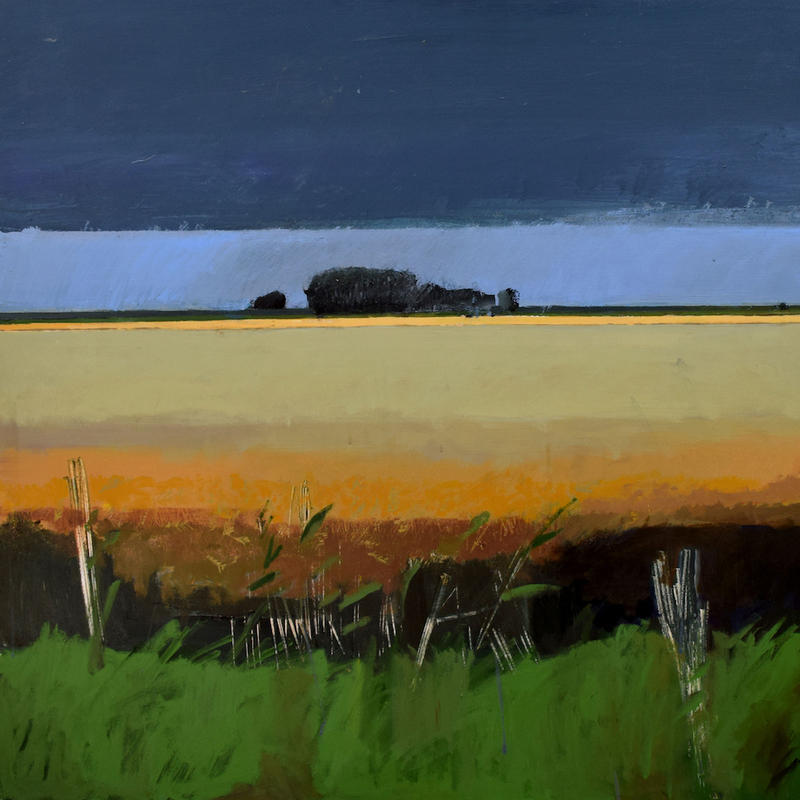 Fred Ingrams will give an Artist’s Talk on Sunday 11 Feb at noon in the gallery. 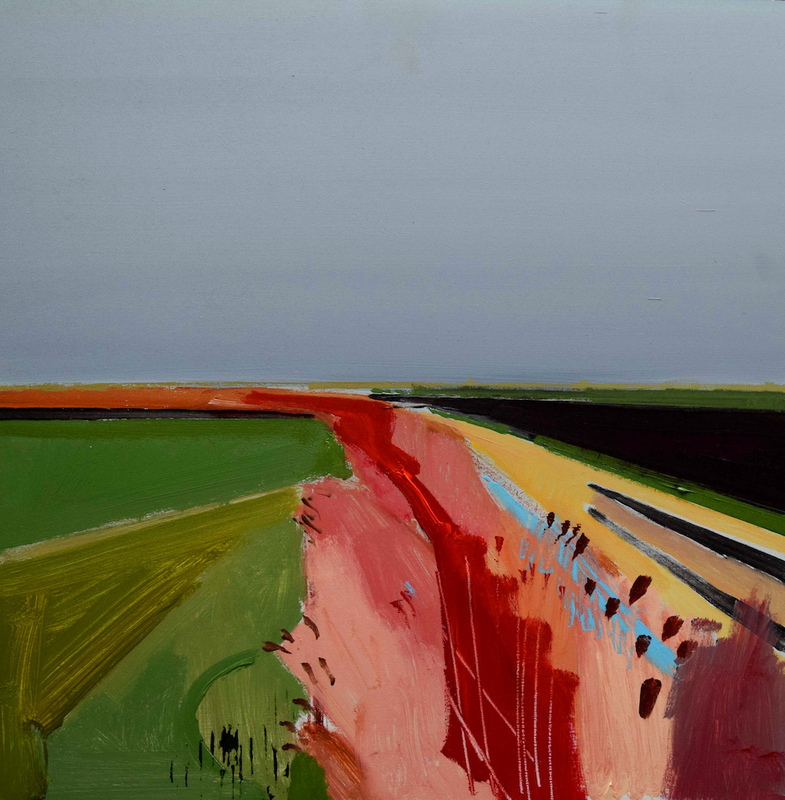 “The Fens are perhaps the least loved landscape in Britain. For some reason the flatness of this huge area of Eastern England does not capture the heart. 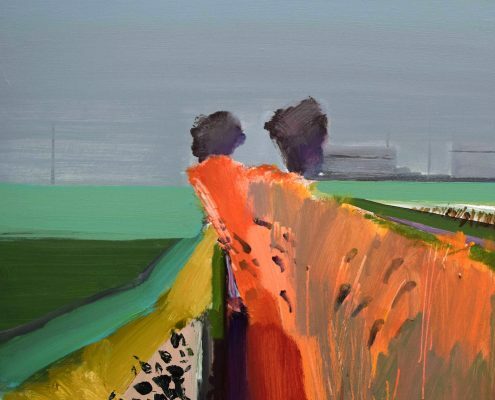 It is a landscape that does not fit into the ideal of a rolling “green and pleasant land”. They are, on the other hand as flat as a billiard table and to most people, featureless and grim. 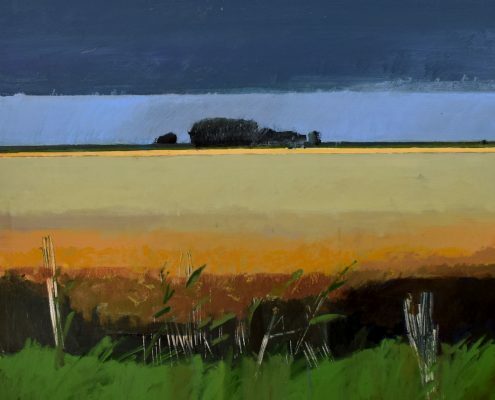 It is an industrial landscape reclaimed from the sea by Vermuyden and Bedford filled with rows of regimented crops growing in the black soil. The wind blows from from the east and is cold and nagging. The people who live there appear, like the wind, cold and unfriendly. 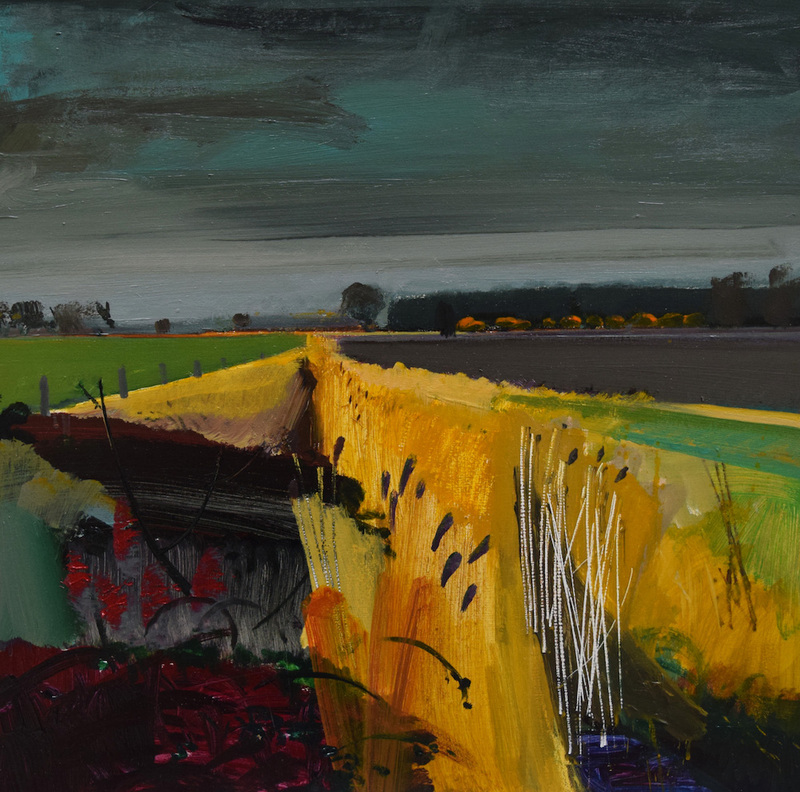 It is for all these reasons I feel so at home painting in the Fens. Most of Britain’s rural landscape has been forged over time by farmers and is a totally unnatural manufactured facade. This is even more true in the Fens. Almost every inch has been fought for and is still being drained today via hundreds of miles of ditches, drains and rivers that crisscross the land. The constant draining and erosion caused by the wind and the soil oxidizing means the land is sinking and will one day be surely reclaimed once again by the sea. It is a landscape that feels fragile and brittle that hovers between over-draining and flooding, in between the sky and the sea. 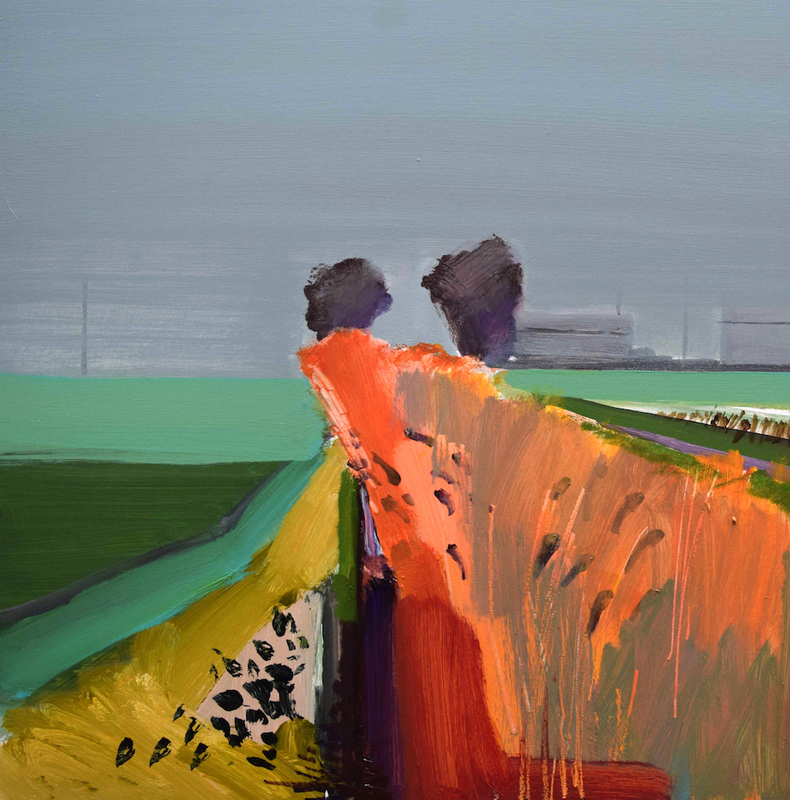 Fred Ingrams was born in 1964. 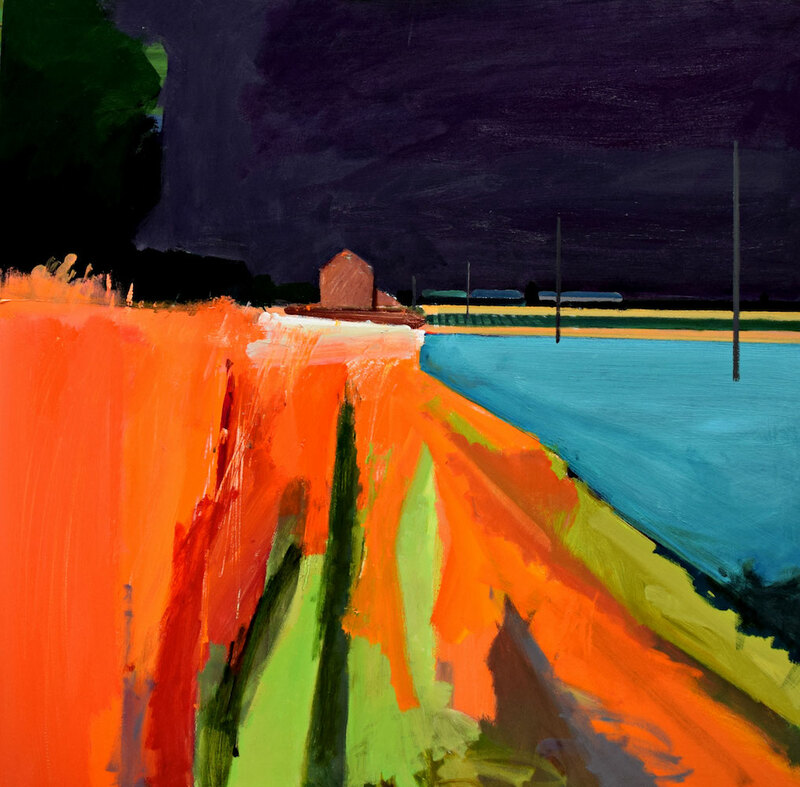 He studied at Camberwell and St. Martins Schools of Art. For ten years he painted above the Coach & Horses pub in Soho, whilst exhibiting in various central London galleries. Vogue and House & Garden. 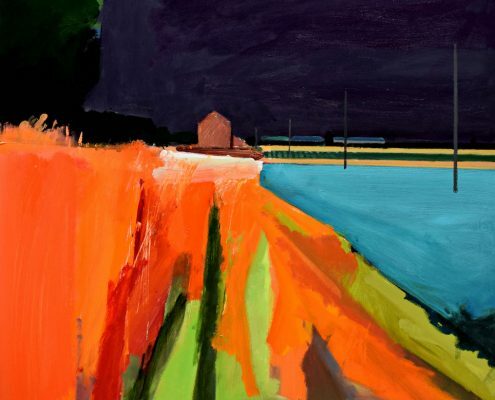 In 1998 he moved to Norfolk where he paints and draws both nudes and landscapes from life. 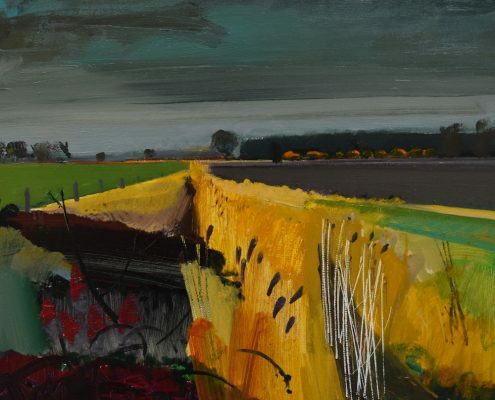 He has spent the last ten years painting The Fens. 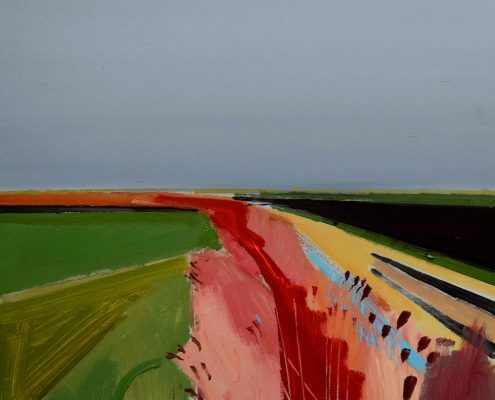 Fred has been shortlisted for the Rise Art Prize 2018.